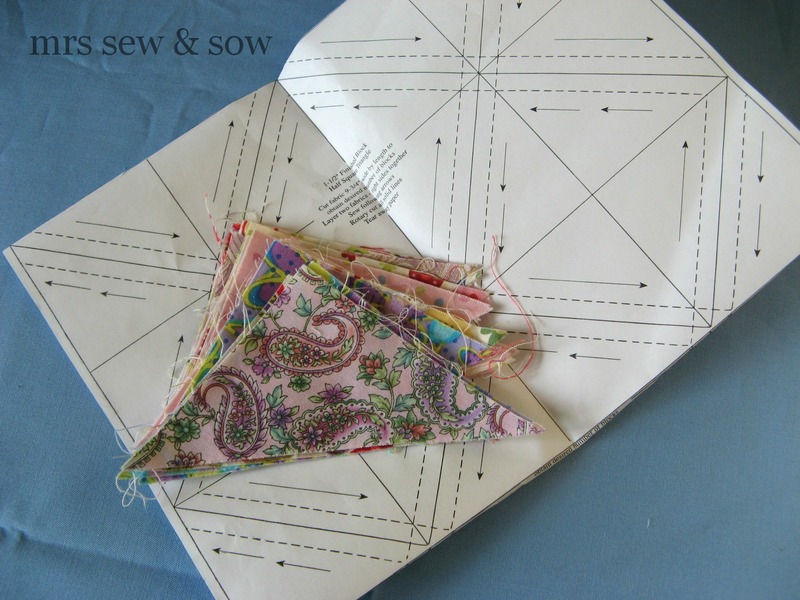 mrs sew & sow: Goody, goody again! Friends have been encouraging me......to make more little baby bear blocks! Thank you Catherine for the fabric triangles, and thank you Hadley for the means to make them into less wonky HSTs! eek! or should that be grrrrreat!? Fantastic! I recently found a boat load of those papers in a box I had put away long ago! They are great! You are clearly smarter than the average bear... :-) Those baby bears are so cute! Ha, enablers that they are!